Adhering to a gluten-free lifestyle can be frustrating for those with celiac disease or other gluten sensitivities and allergies, but a local event is coming back to South Florida to help attendees deal with those challenges. The South Florida Gluten Free Expo will take place at the South Florida Fairgrounds Expo Center, 9067 Southern Boulevard, West Palm Beach, on Saturday, February 24, 2018. The expo is being re-launched due to demand after being held by the South Florida Celiac Support Group from 2008 through 2014. “This event is a day to educate and celebrate all things gluten-free, with the goal of making life easier for those who need to eat gluten-free,” said event coordinator Matthew Bolich. The event will include local and national exhibitors, educational presentations, door prizes and gluten-free samples. The expo will be open to the public from 10:30 am to 4:00 pm. General admission and VIP advance tickets are on-sale now or can be purchased at the door. Youth ages 12 and under are free to attend the event with an adult. Keynote speaker Alessio Fasano, M.D., is a world-renowned pediatric gastroenterologist, research scientist, and founder of the Center for Celiac Research at Massachusetts General Hospital. His visionary research led to the awareness of celiac disease as a growing public health problem in the United States. Dr. Fasano oversees a clinical team that treats children and adults for celiac disease and issues related to gluten as well as running a research team with 45 scientists and staff. 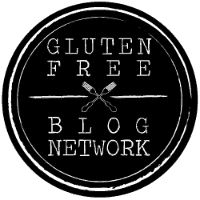 He is author of Gluten Freedom, which provides factual information along with lifestyle advice related to gluten and health. As an international celiac expert he appears regularly in media outlets such as The New York Times, Fox News and NPR. Many companies represented at the event have carved out a gluten-free niche by producing products that are difficult to replicate or find in a gluten-free form, such as expo vendor Gee Free Foods’ puff pastry, currently the only gluten-free version available commercially in the United States. “Beloved family recipes that once seemed lost forever due to health concerns can now faithfully be recreated,” said food consultant Susan Hougui, who co-founded the company. Expo exhibitors will be sampling, selling and discussing products and services at the event. The South Florida Celiac Support Group and Connecting Gluten-Free are hosting the event. Further information can be found at www.southfloridagfexpo.com or on social media.